WASHINGTON (CN) – Giving Democrats little time to savor their election night wins, Republican leadership in the Senate touted a focus Wednesday morning on confirming conservative judges. On the same night the GOP relinquished control of the House to Democrats, the party held onto and even slightly boosted its majority in the Senate, making the Republican project of confirming President Donald Trump’s judicial nominees slightly easier. The Senate comes back to Washington after a month-long recess next week. Its calendar includes 35 judicial nominees who are waiting for confirmation votes, in addition to those awaiting hearings and votes in the Senate Judiciary Committee. Trump and McConnell both said the bitter fight over Justice Brett Kavanaugh’s confirmation was central to the Republican pickups in the Senate during Tuesday’s election. 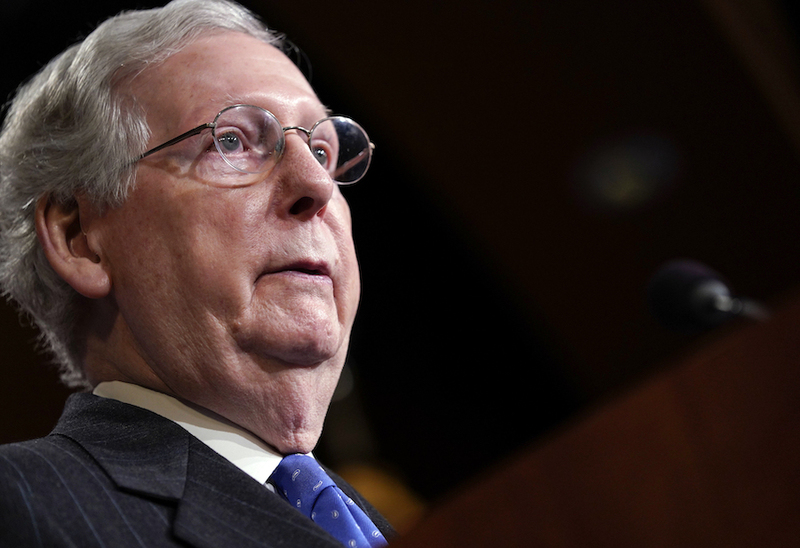 McConnell held up as an example West Virginia Senator Joe Manchin, a Democrat who voted for Kavanaugh and kept his seat in a state that overwhelmingly went for Trump in 2016. In a press conference of his own this morning, Trump said his Supreme Court pick helped fuel Republican enthusiasm in key races. In Indiana, one of the Senate seats Republicans flipped on Tuesday night, people who considered Senator Joe Donnelly’s vote against Kavanaugh an “important factor” broke 54-37 in favor of Senator-elect Mike Braun, according to CNN exit polls. A similar trend emerged in North Dakota, where 62 percent of people who called Senator Heidi Heitkamp’s vote against Kavanaugh an important factor supported Republican Senator-elect Kevin Cramer, according to CNN exit polls. 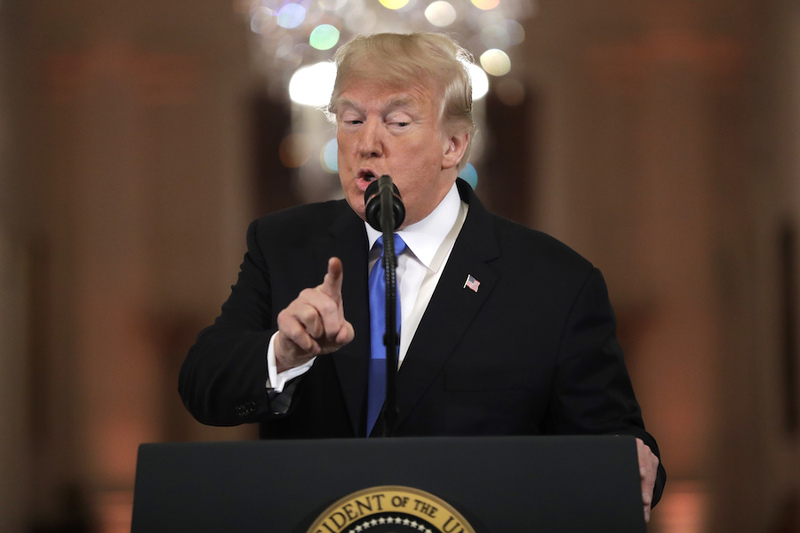 Though Trump expressed confidence that the Democratic House and the Republican Senate will be able to find compromises on issues such as infrastructure, health care and immigration, he also raised the specter of dueling investigations that could make legislating difficult. With Democrats expected to launch a myriad of investigations into the Trump administration when they take the gavels on House committees with the next Congress, Trump said any House probe will be countered by one from Republicans in the Senate. Trump also said it would be impossible for the parties to work together on legislation when Democrats are sending out subpoena after subpoena to his administration. Republican control of the Senate also gives the president room to appoint and receive confirmation of his choice of cabinet nominees, making it possible he makes some long-rumored changes in key positions of his administration. Responding to a question from a reporter Wednesday, Trump did not commit to long-term job security for either Attorney General Jeff Sessions or Deputy Attorney General Rod Rosenstein, who have both been targets of criticism from the president. When asked at a press conference earlier Wednesday whether Sessions and Deputy Attorney General Rod Rosenstein have long-term job security, Trump declined to answer. Roughly one hour later, Trump tweeted that Matthew Whitaker, who had been the attorney general’s chief of staff, was taking over Sessions’ post.